BENEFITS: Blueberries are a good source of vitamin K. They also contain vitamin C, fiber, manganese and other antioxidants. 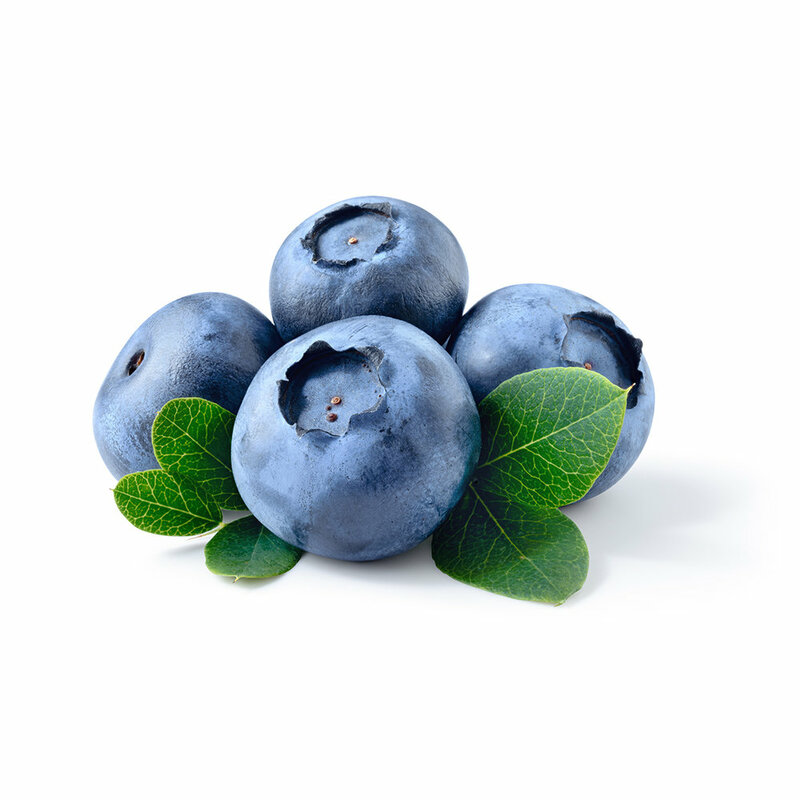 Blueberries can help improve memory and protect against heart disease. Big things come in small packages. People may think that because they’re small they don’t pack a mean punch. Don’t be fooled, blueberries are hold some of the most delicious, nutrient packed vitamins ever. Frozen, blended, or baked we love these berries because like other berries they are rich in antioxidants that help regulate your heart, immune system, and digestive system. Who knew the color blue can host some of the most delicious and vitamin packed nutrients? Blueberries have anthocyanin which gives them their deep blue color. Anthocyanin is plant compound that gives most of these berries the nutrients it has. Studies have proven that incorporating antioxidants into your daily diet can help regulate your heart, blood pressure, and much more. Vitamin C is the key to radiant, healthy skin. One cup of these babies can help add over 20% of your daily vitamin C needs. You may not need that overpriced serum if you consistently add some of these berries to your diet.